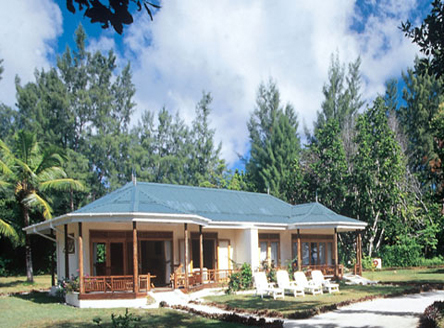 This lovely self-catering complex is perfectly situated on the edge of the wonderful white sand Cote d'Or beach on Praslin's north-east coast and is ideal for children due to its secluded bay and safe waters. 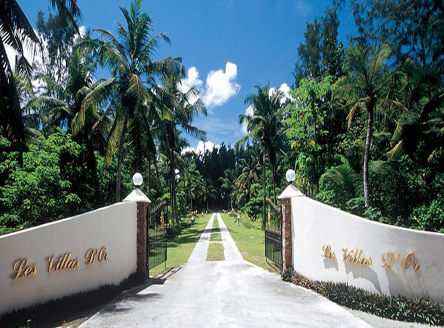 Four individual villas each housing 2 one-bedroom units; a further 2 individual villas have two-bedrooms. 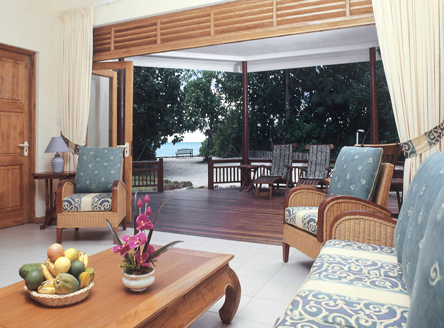 All the spacious accommodation is well-equipped with a wooden sea-facing verandah deck. 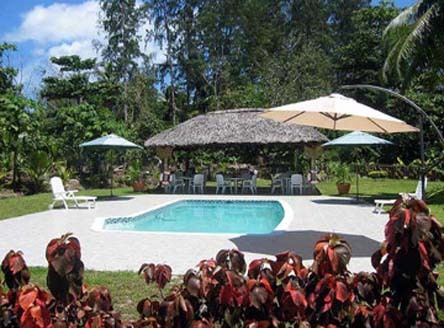 a delightful swimming pool is also available for guests in the lovely grounds. 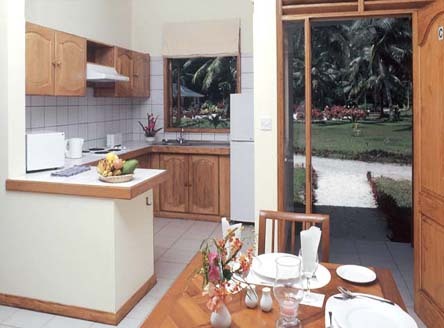 Breakfast and dinner can be provided on request, with breakfast taken in client's individual villa or on their verandah. 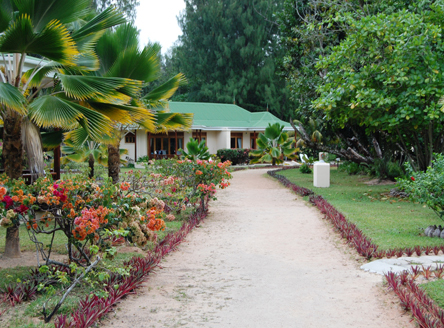 Local shops, restaurants and a couple of takeaways are within easy walking distance in nearby Anse Volbert. 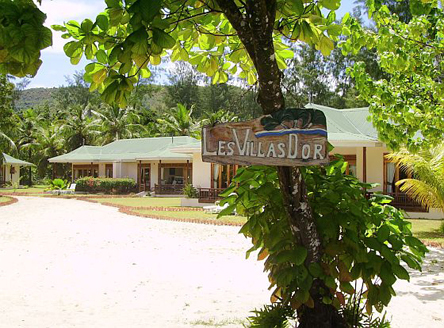 This delightful, small hotel is part of the Seychelles Tourist Board's 'Seychelles Secrets' group of small hotels and is superbly located for exploring Praslin or for day trips to the picturesque neighbouring island of La Digue. Inter-island flight from Mahé to Praslin and then road - approx. 40 minutes, OR; inter-island boat from Mahé to Praslin and then road - approx. 1 hour 10 minutes. 10 units with air-conditioned bedrooms, separate fan cooled lounge, fully equipped kitchenette, hairdryer, safe, TV/DVD, Wifi internet access (fee applies), verandah or terrace. 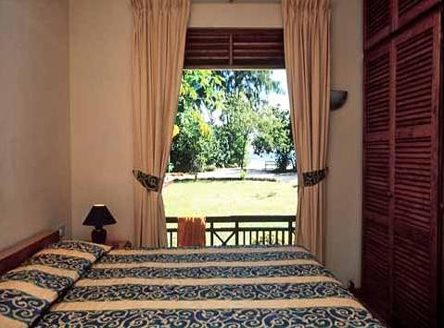 One-bed units are 35m², while the two-bed villas are 75m². 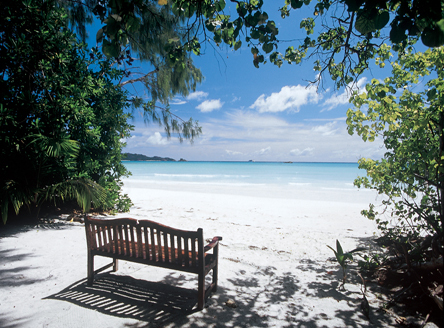 From £1804 per person for 7 nights Accommodation Only based on 2 sharing a one bedroom villa, including return flights from London, return inter-island flights from Mahé to Praslin and all road transfers. 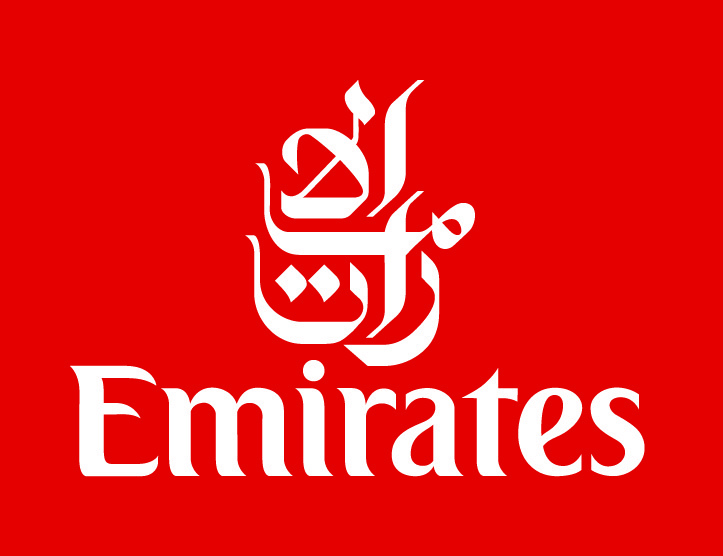 All bookings made 10 days prior to arrival get 25% discount on EP basis. 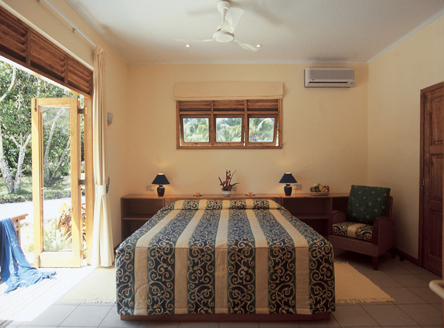 High standard of accommodation with friendly, attentive service. 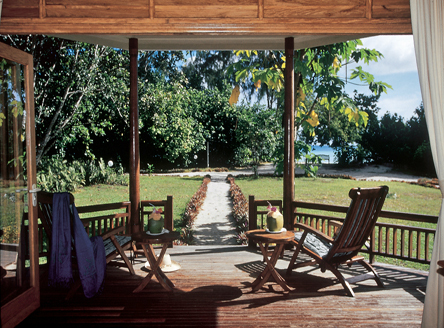 Ideal for those seeking a relaxed and flexible holiday. 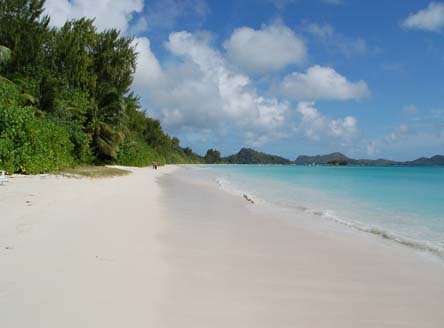 "Your own ‘home from home’, but on a pristine white-sand paradise beach! Hire bicycles to get around – easy and stress-free. 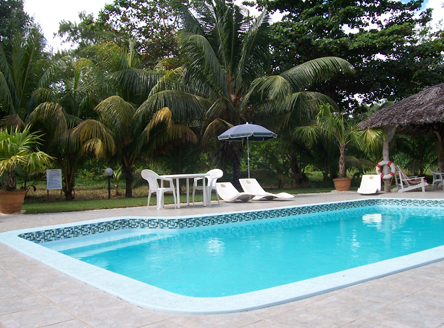 Take a dip in the lovely pool early evening and watch the fruit bats flying overhead! "